A/B Split Testing can be a mystic and foggy concept for a lot of users. What is the basic concept of Split Testing? How this can help you and your clients have more conversions? Agencies can offer A/B Split Testing as a value-added service to clients for higher conversions, profit and upsell. 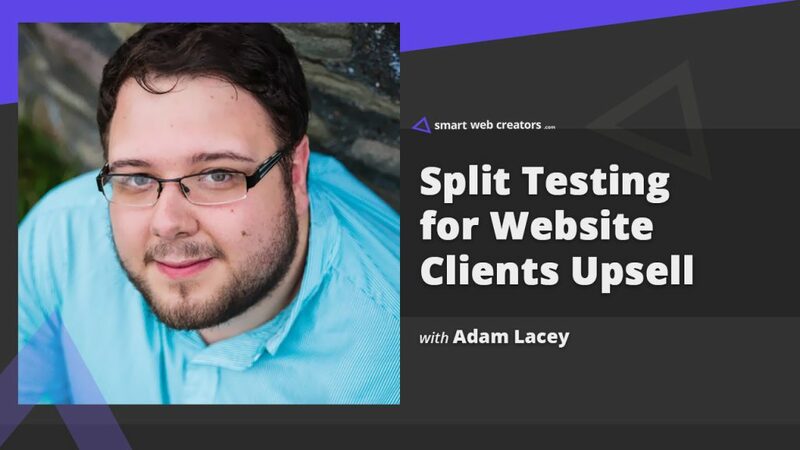 Adam Lacey explains the basics and how he implemented this in the SaaS-based split testing service called “Split Hero”. For someone who knows WordPress to an extent of writing blog posts, how would you define the concept of A/B split testing? A/B split testing is still considered as a super premium routine in the web world. I still remember, a few years back when the responsive feature on websites was introduced, the “website responsiveness” was sold a premium website feature. However, now every website is by default responsive and its given. Can we expect split testing to become more mainstream in the coming years on similar lines? Let’s talk from a very basic level, say I have a landing page with a free ebook download offer as the lead magnet along with email capture box. What is the split testing use case in this scenario? Now let’s go one level up and consider a landing page selling a premium product like few 100s dollars course. My landing page is ready for the course selling, how do I go about creating split a version of that in order to use split testing routine? Is there any methodology in what all things should be different on two pages to gauge the results of the split testing routine? So, I have a WordPress website and I just a created a page selling “website development” services. From the point of view of a beginner, what should be the next few important steps to get split testing setup and running? How does one make sense of split testing routine results? Is it like digging deep into Google Analytics numbers and then closing it out of frustration of not making any sense? Which are the most common tools or services used by WordPress users for split testing setup? One big problem that I have noticed is, people setting up split testing routine on a page that is not getting substantial traffic (say less than 100 visits over the span of 2-3 weeks). Do you recommend any minimum incoming traffic before split testing should be set up and result gathered would make more sense? Let’s talk about SEO implications, split testing is basically splitting your incoming traffic towards two pages with similar content (and not the same content) to see which page gets more conversion. So, you have two pages with similar content – does Google hate this or are there any safeguards in this regard? Should someone selling an evergreen course or digital product, keep the split testing routines enabled all the time or is there any dos and don’ts in this regard? Form the point of view of an agency owner, how does one convey the value proposition of split testing service to the end user client? Split Hero is your upcoming service to allow easy setup for split testing routines. You have been a WordPress person for a while, so why not a WordPress plugin and why a SaaS solution? What is the backstory on creating the Split Hero service? What are benefits of using Split Hero as against existing options for setting up split testing routines? Which platforms this service will support? What is the range of upfront investment needed to build such a SaaS service? Beaver Builder is the go-to solution for building layout designs. Use Page Builder Framework theme as the base for all development. Extensively use ACF (Advanced Custom Fields) in dev work. Also, use Beaver Themer in the development stack. Recommend Kinsta hosting for client websites. As of now using Drip for email marketing setup. I’ve been running a solo agency called Penguin Media for the last 6/7 years and over the past 12 months, I’ve transitioned to dealing with purely white label work for other freelancers/agencies under our new company unBranded. We are a small dynamic remote UK team and do everything between us without outsourcing offshore. 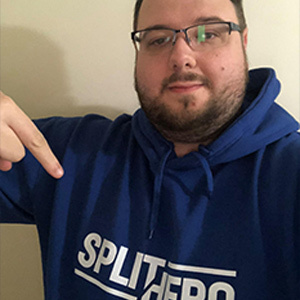 Split Hero has been brainstormed from a personal need for around 2 years and I finally chose to push ahead with the concept end of 2018 looking at a Q1 2019 launch and a January 2019 pre-sale.